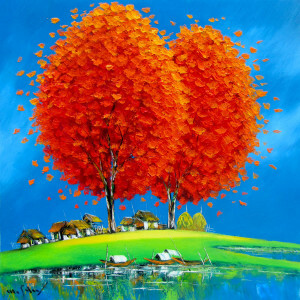 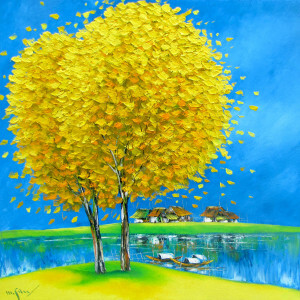 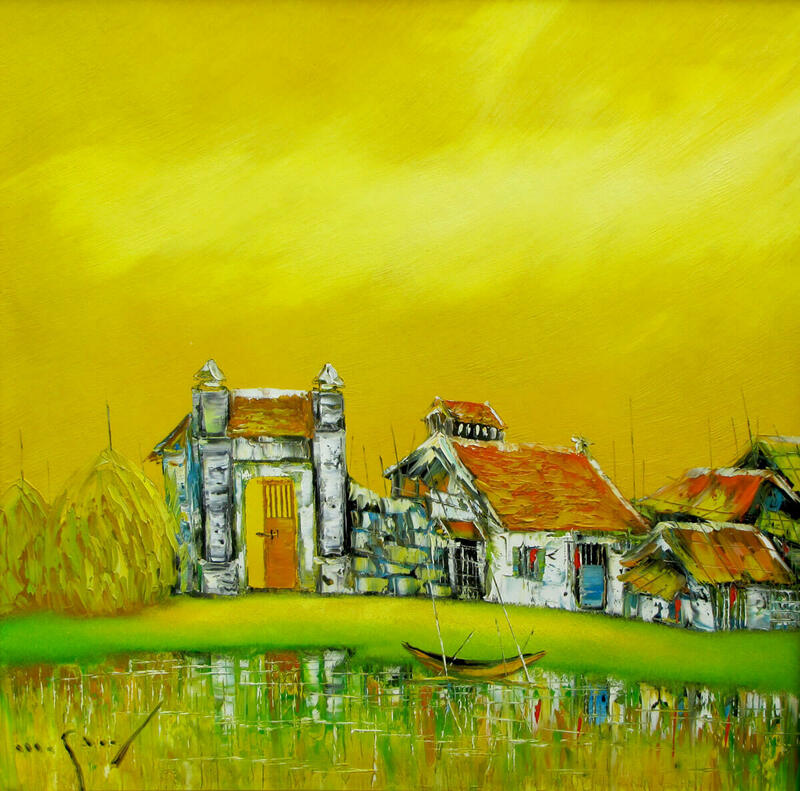 Nguyen Minh Son’s paintings hold a notable position among landscape paintings in Asia. 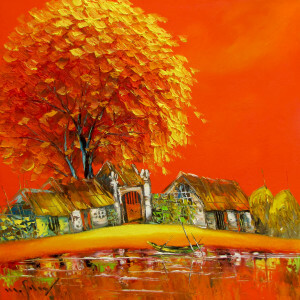 Done in his characteristic style using his signature palette My Hometown is an aesthetically appealing piece. 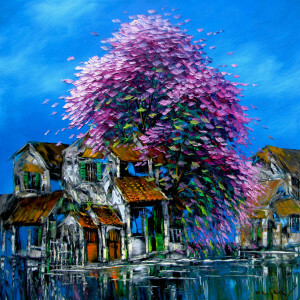 It has his characteristic houses behind a still clear water body with boats anchored by it in the foreground of the painting. 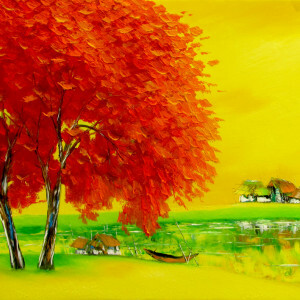 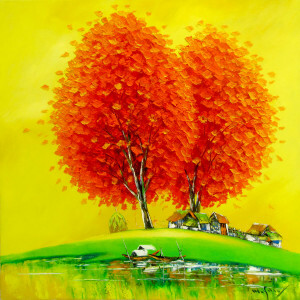 The warm colors evoke warm feelings for the hometown.